Our club goal is 100% attendance. Rotary International Club Finder webpage. A Rotary e-Club One meeting or activity on-line. A Club sponsored social event or volunteer activity. You must make up the missed meetings within a period of two weeks before or two weeks after. If you do not receive an email confirmation that your makeup meeting is recorded, contact Patricia Russo, by email or at a meeting. 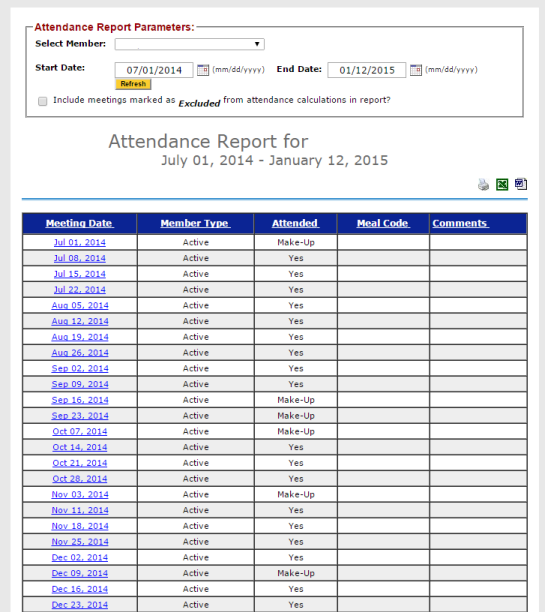 You can check your attendance record online.